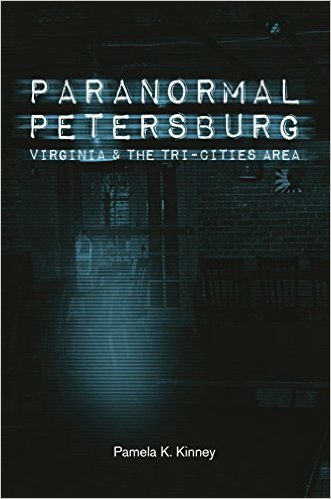 Travel to Petersburg, Virginia, and the surrounding areas of Colonial Heights, Hopewell, Prince George, Dinwiddie, and nearby Ettrick-Matoaca, Enon, and Chester to discover what spirits, monsters, UFOs, and legends await the unwary. Why are the Union and Confederate spirits still fighting the Civil War in the battlefields? Who is the lady in blue who haunts Weston Plantation House? Learn what the phantoms at Peter Jones Trading Post will do to keep from being photographed. Drink tea with runaway slaves still hiding on the top floor above the Blue Willow Tea Room. Are Edgar Allan Poe and his bride still on their honeymoon at Hiram Haines Coffee and Ale House? Why does the Goatman stalk young lovers? Meet the ghosts of Violet Bank Museum that greet guests at the house. Hauntingly active as they share space with the living, the dead refuse to give up their undead residency. 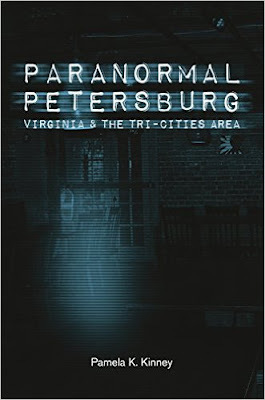 I've read a couple of Pamela Kinney's non-fiction books about haunted places in Virginia and they are really interesting and fun. I am not a believer of ghosts, but if I personally experienced something I might be swayed. But that doesn't mean I don't love reading about all the history, tales and first-hand accounts about paranormal events. This book focuses on Petersburg, VA and the surrounding areas. I had no idea about all the history of this area. Pamela does a great job of giving detailed facts about the cities and specific buildings. I can't even imagine how much research went into the book. She also includes folk tales associated with the areas as well as talking to residents about their knowledge. 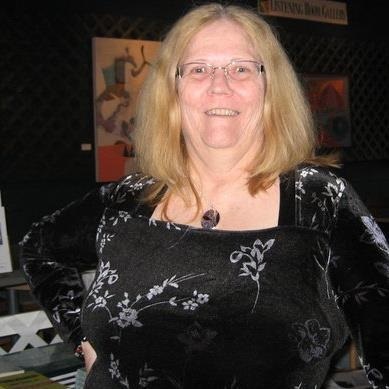 She was only able to give histories and maybe some interviews about some of the buildings because they were private residences, but there are also detailed accounts of the investigations she was allowed to conduct. These were fascinating. Kinney used various instruments to communicate with possible spirits. A ghost box was used a lot and I would love to see this in action first-hand. If you love history, the paranormal, and touring haunted areas, then this is a great book to have. Information about where to find each place and how to contact someone about it is included. I live in Louisa, VA! And haunting there? Amy Hart, there is. And a friend of mine is writing a book for your area through Charlottesville for Schiffer. Figure a year or two before hers is published and out. She is going to many of the places now.